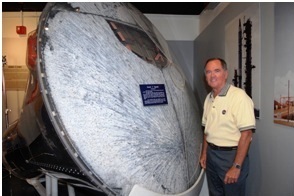 AstroCryptoTriviology: Holes in Your Heat Shield? No Problem! Finally, there is still another option. 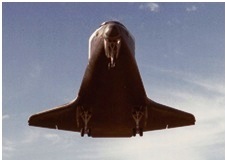 If the design decisions include (1) crew capsule above habitation module at launch for safety, and (2) capability for internal transfer between connected modules, but (3) no connecting tunnels through the heat shield, then the only solution is to provide the crew capsule with a heat shield on its top instead of its bottom. 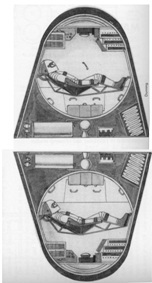 Since the astronauts would be reclining in their seats inside the capsule before and during launch facing upward toward the heat shield, but would need to be facing away from it during re-entry, their seats would have to pivot like hammocks so they were always pushed into their seats by the high g-loads of launch and re-entry. Capsules with swiveling seats have been proposed as early as 1958 (ref. 9) and as recently as 2005 (ref. 10), but not as part of a capsule-module stack launched on the same rocket.